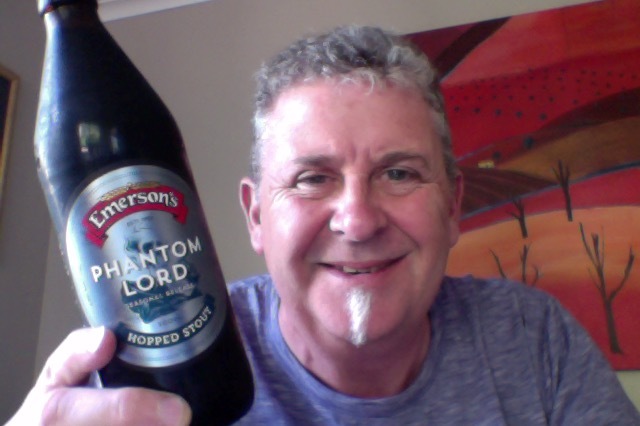 Emerson’s Phantom Lord – an ominous sounding name for a beer. …all the classic stout, characteristics…. It displays all the classic stout characteristics. Black as tar, opulent roast and chocolate notes yet hopped in the way we would hop an American Style Pale Ale. The malt grist is made up primarily of ale, roast barley, chocolate and crystal malts, with rolled oats included to add that smooth mouth feel. Fermenting with an English Ale yeast has added a luxurious depth to the malty mouthfeel. Once this yeast has almost done its work, we have pumped another massive dose of hop pellets into the fermenter. So, What could possibly go wrong? Lovely bottle presentation, silver label and all, and other interesting things on there about what to expect in a nice graphic format. Mostly hoppy, dark and middle sweetness. So there. Mind I’ve had a white stout so it’s useful information. On opening there is a lovely chocolate malty aroma, very pleasing on the nose. It’s very lively and I got a head that’s about 505% of the pour, which is disappointing and entertaining at the same time. The aroma from the had is of milky chocolate, which is still very pleasant. And that’s a bit splendid as beers go, lovely richness and smoothness, big mouthfeel of softness and a hit of bitterness at the back. Get in! I think this is a beer that could do with even more fullness in the middle, and less lively on the pour as second attempt ended the same. Clever how they managed to keep some of that chocolate familiarity and then bang in a hop bite at the back, that’s very engaging, but I think there might be a reason that it’s not the standard finish to a Stout beer style. It isn’t like this is a game changer either, it’s a pleasant and enjoyable beer, and that’s all it really is. … some time later…. after I’d cooked a lamb rack on the BBQ and had a couple of other beers I remembered I hadn’t finished here. What might that tell you? The pdubyah-o-meter rates this as 8 of its things from the thing. For all of its highlights there aren’t quite enough of them to lift this beer from where it is to where it might be going. Needed more body oomph in my opinion to make this a beer you really have to ‘chew’ on and get all that fullness of mouthfeel from. It’s a good idea but it’s just a mash up that kind of doesn’t really reach the mark it sets for itself. 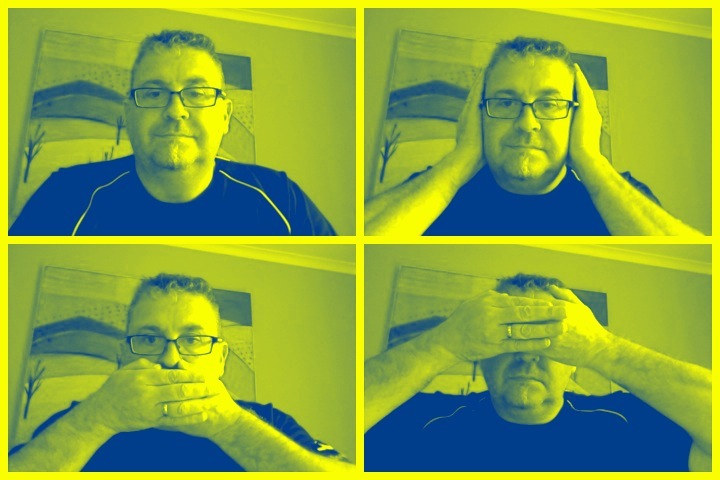 I wait for the next version …..
Where did I get it? The local liquorland it, but this is ubiquitous. Am I enjoying it? yes it has some nice bits but bits that are less than. Would I have another? Not really my thing though. Would I share with a friend on a porch and set the world to rights? No. Many stouts do not fit the classic “Irish” definition as exemplified by Guinness, either due to their hop or roast rates, or higher gravity (in the case of many American stouts). They are still basic stouts, however, not falling into any of the subclasses. 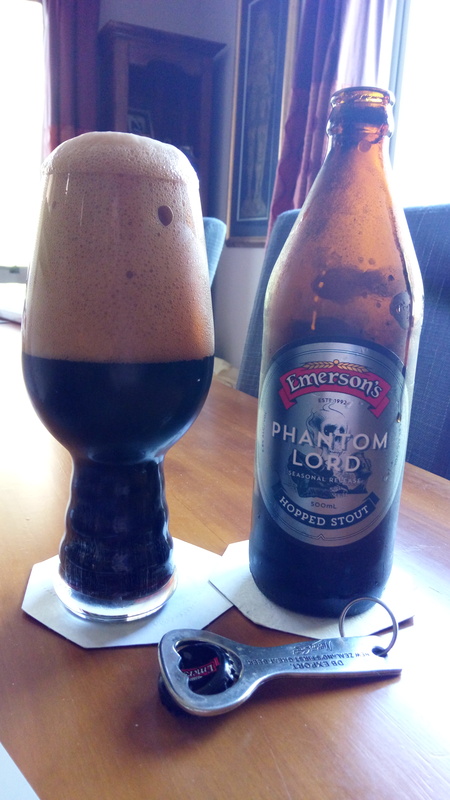 This entry was posted on December 17, 2016 by Philip Walter in Beer, Beer of New Zealand, Beer Review, Craft Beer, Critic, Emerson's, Justsaying, Stout and tagged Alcohol by volume, craft beer, Emerson's Phantom Lord, Emerson’s Brewery, Phantom Lord.